All across the country, hospital quality departments set goals for the upcoming year. For academic medical centers, that fiscal year is starts July 1st. 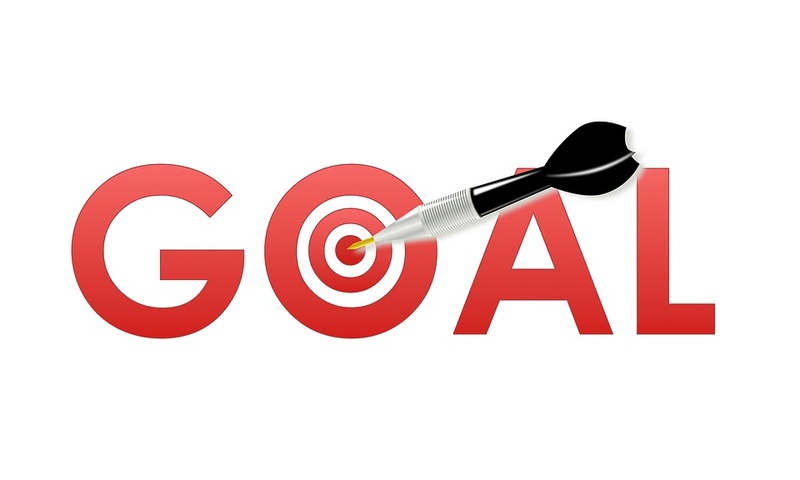 And every year, at every hospital, those goals are set a little higher and hospital leaders get frustrated when a year from now, those goals are not met. The tactic that should be used to avoid all of this frustration is setting realistic goals. For the physician with relatively limited time and emotional energy, all of these various goals compete with each other. The hospital finance department gets frustrated when the physician’s efficiency measured by getting all of the hospital discharges completed by mid-morning is affected by the physician doing too much teaching on rounds. The department chairman gets frustrated when the physician’s research output is affected by the physician spending too much time in the hospital trying to meet RVU targets. And the quality department gets frustrated when the physician is spending too much time in citizenship activities such as attending committee meetings and not focusing on spending more time with individual patients in order to improve patient satisfaction scores. For the physician who is faced with the expectation of achieving a 75th or 90th percentile for all of these various goals, it is overwhelming and not realistically achievable. It is human nature to direct one’s limited time and energy to those goals that are achievable and then effectively ignore those that are not achievable. As an example, lets say the quality department sets a quality goal that all physicians will do bedside rounds on every patient 3 times a day and the practice administrator sets a productivity goal of 4,000 wRVUs per year. If a physician currently rounds on every patient once a day and had a productivity of 3,500 wRVUs last year, then to both increase the number of daily visits by 2 additional visits with each patient each day AND increase the wRVUs by 500 in the next year, the only way to achieve both goals is for the physician to work more hours every day (the physician has to bill the patient the same amount whether he/she sees that patient 3 times a day or just once a day). From the physician’s standpoint, he/she will have to choose between meeting the quality department’s goal by increasing the number of daily encounters with each patient by 200% or meeting the practice administrator’s productivity goal by increasing the number of patients that the physician sees by 14%. Given these competing demands, most physicians will choose to go after the wRVU goal and ignore the quality goal because the wRVU goal is more achievable. So, how should we set quality goals? Recognize that most physicians cannot be above average in everything. The physician who wins all of the teaching awards get them because he/she is spending a lot of time doing bedside teaching rather than trying to knock the wRVU targets out of the park. Expect small annual incremental improvements and evelop long-term, aspirational goals. My favorite NFL team, the Cleveland Browns were winless last season at 0-16. Next year, I’m not expecting them to go to the Super Bowl but I’d be happy with 2 wins next season, 5 the following season, and then make the playoffs in 3 years. Setting long-term goals with incremental increases every year over a several year period is more realistic. Realize that the physicians can’t go it alone. Increasing productivity may require investing in more outpatient exam rooms per doctor, or geographically locating all of a hospitalist’s patients to one nursing station, or staffing up the case management department to facilitate discharge planning. Achieving higher goals requires giving the physicians the tools they need to meet those goals. Get the right benchmarks. For example, if you are tracking hospital mortality and are at a large tertiary care medical center that has a high percentage of complex, critically ill patients, then using a crude mortality rate will not be useful because your patients are sicker and have a higher expected death rate than those at a smaller community hospital. In this situation, using the mortality index would be a more appropriate way of comparing how well your hospital is doing in patient mortality. The mortality index adjusts the crude mortality rate by the severity of patient illness. For the tertiary care hospital to achieve the same crude mortality rate as a small community hospital or an orthopedic specialty hospital is unrealistic. The best theoretic result is not always the best achievable result. In an ideal world, there should be zero hospital-acquired central venous catheter infections. However, that is not going to happen, the bacteria always finds a way in the sickest patients and central lines are mainly used in the sickest patients. Therefore, setting a hospital goal of zero central line associated blood stream infections is not realistically achievable and if every year the doctors and nurses feel demoralized because they could not achieve a goal of zero, staff morale will suffer. Don’t create a storm of goals. There are 300 different merit-based incentive payment system (MIPS) measures. If you hold your physicians responsible for achieving all of these, their heads will be spinning and they will likely just give up. Focus efforts on a limited number of goals that are of highest priority for the hospital. Five or six goals for each physicians is a good target. Publicize next year’s goals before the start of next year. This seems so common-sense but many hospitals procrastinate on getting goals finalized and then getting those goals publicized to the physicians on time. A hospital that disseminates the annual quality goals 3 months into the year is doomed to failure since by the time the physicians and hospital staff know what their annual goals are, 25% of the year has already gone by. It would be kind of like a head football coach not telling the other coaches and the players what the game plan is until after the first quarter. Provide timely regular feedback. If one of the hospital’s quality goals is to reduce readmissions for heart failure patients, then report the 30-day readmission rate on a monthly basis, as soon as the data is available. People usually can’t remember what they did differently 6 months ago, let alone a year ago. Regular and timely feedback allows physicians and hospital staff to determine in real time what is working and what is not working and then adjust behavior and practices accordingly. Achieving a ranking is not achieving a quality goal. I’m probably going to get into trouble for this one because every hospital focuses on the U.S. News and World Report annual ranking of hospitals. Boards of Trustees, CEOs, Deans, and medical directors all define success as “moving up in the ranking”. It is true that in many situations, a higher national ranking by rating groups such as U.S. News, Leapfrog, etc. do incorporate quality in the determination of ranking. However, the goal of the hospital should be to get the quality right and not just to get the ranking. Medicine is not like NCAA football where the highest ranked team at the end of the season wins. We win when our patients get the best care for their condition possible. The rankings and awards can come later. But… set goals that are achievable but not too achievable. To be successful in getting NIH research grants, research scientists know that they have to have half of the work already done before they submit a grant so that achieving the goals of the grant (and continuation of funding) is assured. Similarly, it is human nature for hospital leaders to choose goals that they know that they can achieve so that they are assured of looking good at the end of the year. For example, if I, as a medical director, set a quality goal of reducing Clostridium difficile infections by 20% next year and I know that the hospital just purchased an expensive ultraviolet light C diff decontamination system that the literature says reduces C diff rates by 50%, then at the end of the year, my quality goal scorecard is going to look great – it is like benefitting by insider trading. The hospitals’ ultimate goal is to match the healthcare resources of the hospital to the healthcare needs of the community in a way that maximally benefits the patients. In most situations, a hospital cannot change overnight to perfectly match these needs and the alignment of hospital resources with community healthcare needs is a long-term journey. Setting achievable quality goals is a critical part of this journey.